Handwriting is a true art form and one of the few ways we can uniquely express ourselves. There's something poetic about grasping a writing instrument and feeling it hit the paper as your thoughts flow through your fingers and pour into words. This year, we suggest you take advantage of National Handwriting Day on January 23 and use a pen or a pencil to rekindle that creative feeling through a handwritten note, poem, letter or journal entry. Handwriting allows us to be artists and individuals during a time when we often use computers, faxes and e-mail to communicate. Fonts are the same no matter what computer you use or how you use it and they lack a personal touch. Handwriting can add intimacy to a letter and reveal details about the writer’s personality. 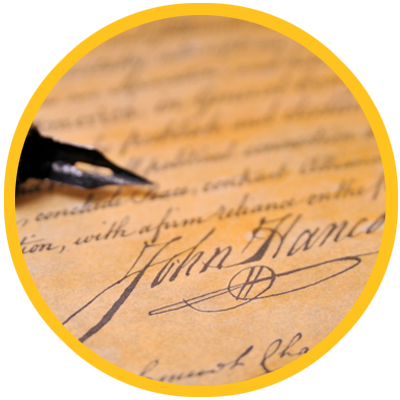 Throughout history, handwritten documents have sparked love affairs, started wars, established peace, freed slaves, created movements and declared independence. WIMA sponsors National Handwriting Day every January 23 in conjunction with John Hancock’s birthday. Hancock was the first to sign the Declaration of Independence and is famous for his large, bold signature.